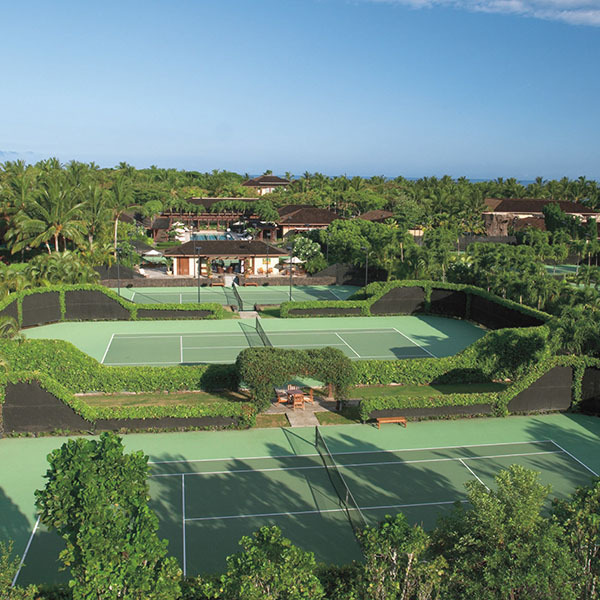 June 1, 2017 – Michael Chang hosts the Tennis Insider Camp at Four Seasons Resort Hualalai—a first of its kind, bringing together top names in tennis for one week of immersive training and education. The International Tennis Hall of Famer and French Open Champion has created a five-day experience unlike any other, exclusively available to guests of the Resort. The itinerary is curated to include sessions on and off the court offering guests an all-star panel’s take on the science and technique of the sport, concluding with social gatherings each evening at various settings throughout the beachfront Resort. Joining Chang for this tennis experience are renowned experts in tennis and fitness including Todd Martin, former ATP top 4 player and current CEO of the International Tennis Hall of Fame; Justin Gimelstob, Grand Slam Doubles Champion and Tennis Channel Broadcaster; Jon Wertheim, Sports Illustrated Executive Editor and 60 Minutes Correspondent; Keri Glassman, Nutritionist and Celebrity Health Expert; and Dr. Mark Kovacs, Tennis Performance Science Pioneer. Each of these special guests will share their expertise and behind-the-scenes appreciation of the sport, aiming to provide the skills and knowledge to enhance tennis performance. The camp is limited to 16 people, and will offer individual and one-on-one instruction customized to each guest’s tennis ability and areas of focus. Prior to arrival, guests will complete a survey regarding their nutrition, tennis skills and goals, allowing the Tennis Insider Camp team to create personalized programming and instruction. Michael Chang’s Tennis Insider Camp is available from August 7-11, 2017. The experience costs USD 5,000 per person plus accommodation at Four Seasons Resort Hualalai. To view the itinerary for the camp or to make a reservation please visit the Resort’s website or call (808)325-8000.